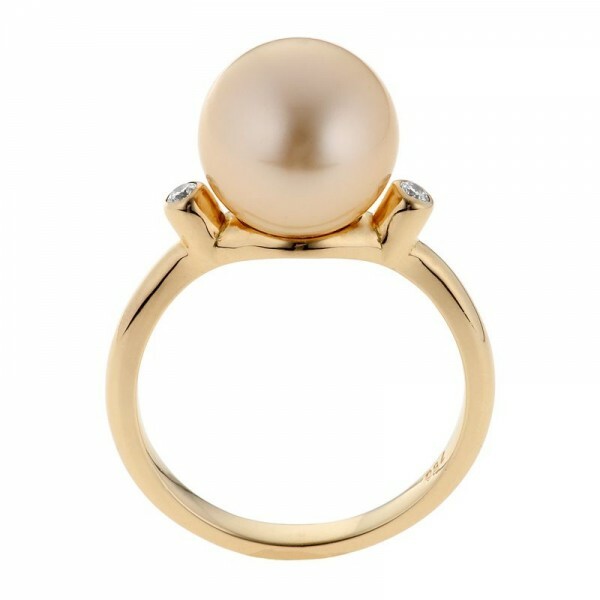 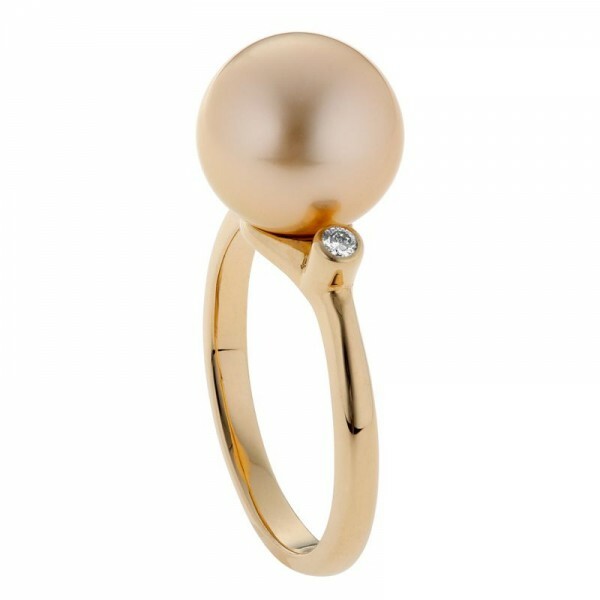 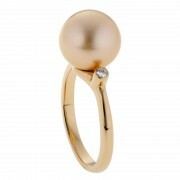 A stunning and rare gold South Sea pearl is enhanced in this design by brilliant white diamonds. 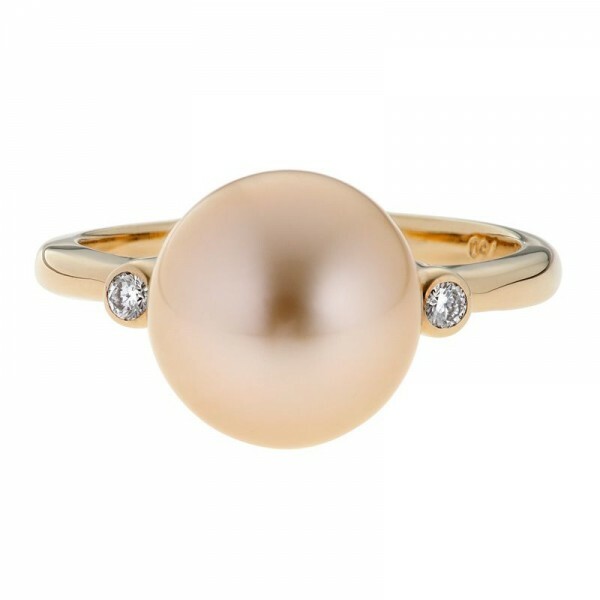 A nice fine style of band finishes this design nicely, leaving you with a ring design that allows the pearl to be the statement. 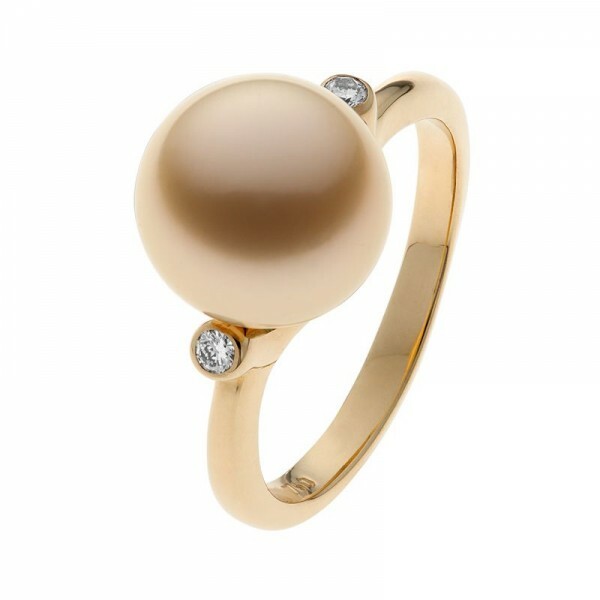 Match with a pair of gold pearl stud earrings and a plain gold bangle to complete the look.